Violence and videogames often go hand in hand, with most of the top selling titles involving the infliction of some kind of harm upon other living things. Heck, when I was at E3 last June, all I could really hear was gunfire, swords clanging, explosions, and people howling in pain. Still, there is a line that even the most bloodthirsty developers won’t cross, and Hatred, an isometric shooter from Polish developer Destructive Creations, was pulled from Steam Greenlight for sprinting past that very line. 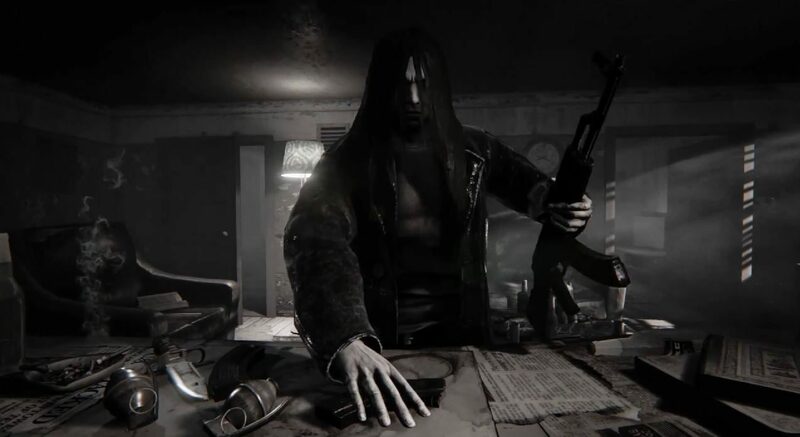 Update 12.16.14: Hatred is now back on Steam Greenlight. Hatred casts players as a heavy metal-looking lunatic who embarks on a “genocide crusade,” killing innocent civilians and police officers in a bullet-riddled bloodbath. The game’s announcement trailer is pretty tough to watch, as it features numerous executions and brutal stabbings of everyday folk, rendered in the game’s convincing Unreal Engine 4 graphics. We wanted to create something contrary to prevailing standards of forcing games to be more polite or nice than they really are or even should be. Yes, putting things simply, we are developing a game about killing people. But what’s more important is the fact that we are honest in our approach. Our game doesn’t pretend to be anything else than what it is and we don’t add to it any fake philosophy. “Moreover we don’t treat this as a failure because yet again this showed us a huge community support we’re totally overwhelmed with. After only a couple of hours Greenlight campaign being live, Hatred gathered 13,148 up votes and ended up on a #7 on Top 100 list. This is the best proof for us that there are diehard Hatred fans out there, waiting for this game to be released. And that we need to keep going to deliver them a game that offers exciting and challenging gameplay. The whole situation only pushes us forward to go against any adversity and not to give up. It also makes us want to provide our fans Hatred pre-orders sooner, as many of you have asked for them. At the end of the day you, gamers will judge if we were able to do a game that’s simply fun to play. Regardless of how you feel about Hatred, the best way to voice your opinion on the game is to simply vote with your wallet.